Scientists know that in people with some forms of amyotrophic lateral sclerosis, the motor cortex springs into action more often than it should—now researchers conclude that the same occurs in people with the disease due to the C9ORF72 expansion, suggesting a phenomenon common to all forms of the disease. Writing in the September 8 JAMA Neurology online, they report that transcranial magnetic stimulation detects the same hyperexcitability pattern in people who inherited a C9ORF72 expansion as in those with sporadic ALS. The consistent hyperactivity of the motor cortex across ALS cases, often preceding noticeable movement symptoms, suggests this process could become both a diagnostic test and a therapeutic target, said senior author Steve Vucic of the University of Sydney. Vucic’s group studies how ALS affects the motor cortex, where, some scientists believe, the disease gets its first foothold (see Jan 2015 News story; News story). 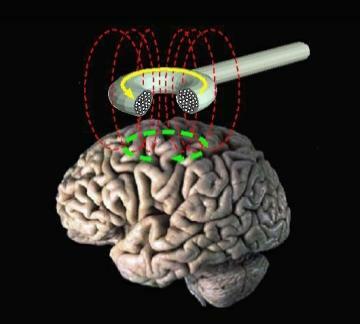 Transcranial magnetic stimulation (TMS)—as a test, not a treatment—allows researchers to examine motor cortex function easily and painlessly in people. The researchers hold an electromagnetic coil against the scalp to stimulate the neurons that control a certain muscle, say, the thumb. Then they measure how much current it takes to make that thumb twitch. In several studies, Vucic and others noted that less current was needed to trigger movement in ALS patients, indicating their motor cortex neurons were hyperexcitable (Vucic et al., 2013; see also Further Reading Papers here). Vucic said he often detects hyperexcitability in people with an ALS mutation before they develop the disease. In sporadic cases, too, certain parts of the cortex become hyperexcitable before the muscles downstream start to falter (Vucic et al., 2008). Vucic pointed out that in recent years, scientists have found cognitive difficulties as well as motor symptoms in many people with ALS (see Jul 2009 Conference News story). Indeed, the C9ORF72 expansion causes either ALS or frontotemporal dementia, or a mixture of both (see Sep 2011 News story). Therefore, first author Nimeshan Geevasinga and colleagues wondered if motor cortex excitability was heightened in people with C9ORF72 mutations as in sporadic cases. He found that cortex activity paralleled symptoms among 15 people with ALS due to the C9ORF72 expansion, 11 expansion carriers with no symptoms, 73 people with sporadic ALS, and 74 healthy controls. People with symptomatic ALS had hyperexcitability, regardless of their C9ORF72 status, but asymptomatic carriers activated movement as did controls. “Brain dysfunction in the form of hyperexcitability is an intrinsic feature of [symptomatic] ALS,” Vucic concluded. The finding has important implications, commented Andrew Eisen of the University of British Columbia in Vancouver, who did not participate in the study. It means excitability would not make a useful marker for pre-symptomatic states of the disease, and that drugs to block hyperexcitability would not be helpful before symptoms begin, he said (see full comment below). Despite those limitations, Vucic believes the commonality of hyperexcitability throughout ALS does qualify it as a useful diagnostic. He already uses TMS to confirm or rule out an ALS diagnosis in his practice; saying that 70-80 percent of people with ALS score high for hyperexcitability (Menon et al., 2015). TMS also helps him differentiate ALS from diseases that mimic its symptoms (Vucic and Kiernan, 2008; Vucic et al., 2011). Vucic plans to collaborate with researchers who study animal ALS models. He is conducting longitudinal studies that incorporate both TMS and MRI on people with ALS, including C9ORF72 carriers. MRI complements the excitability measurements TMS provides with a measure of cortical thinning associated with ALS. 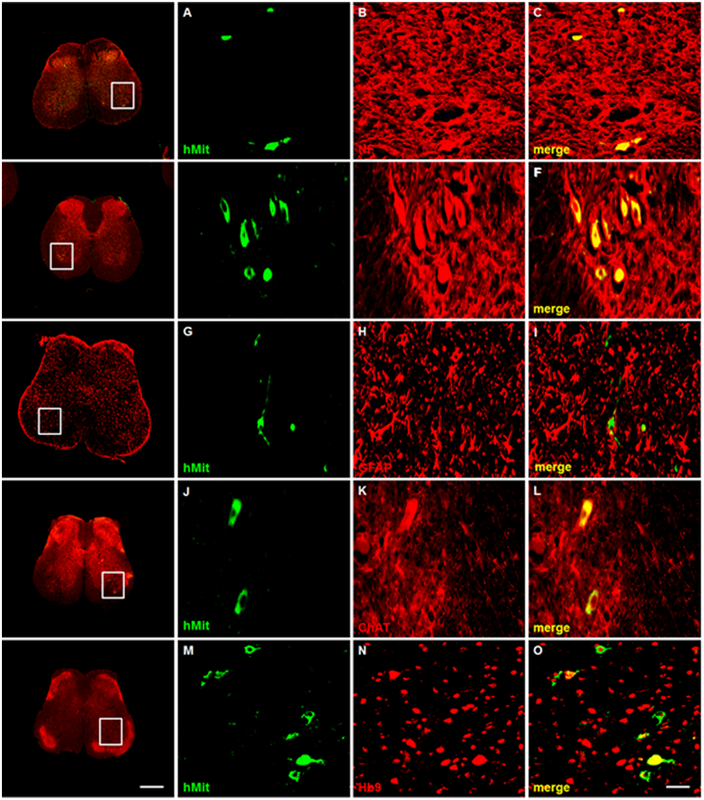 Geevasinga N, Menon P, Nicholson GA, Ng K, Howells J, Kril JJ, Yiannikas C, Kiernan MC, Vucic S. Cortical Function in Asymptomatic Carriers and Patients With C9orf72 Amyotrophic Lateral Sclerosis. JAMA Neurol. 2015 Sep 8;:1-7. [PubMed].